With top notch entertainment, European-style cuisine and state of the art sound and lighting, Slide offers Sydney evenings of magical enthrallment. The home of the unsurpassed Risque Revue on Oxford Street has raised the bar for cabaret shows in the city with its captivating show. 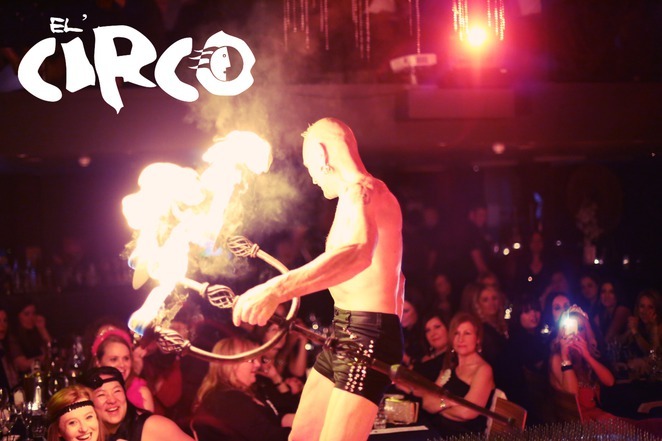 El'Circo is where Australia meets circus, cabaret and burlesque on a grand scale. Every Saturday and selected Fridays and Sundays till 27 December, you can enjoy a show that transports you to Paris or Berlin. This stunning production created by DIVA Hall of Famer Marc Kuzma (a.k.a. Claire de Lune) have already entertained more than 36,000 customers with its circus acts flavoured by Parisian cabaret. You will be amazed by pole performers, statuesque dancers, aerial performers and theatre voices in this 9-act show. You will also enjoy a 9-course dinner served between acts and full table service. So make a date with El'Circo for an unforgettable night of unsurpassed live entertainment and good food. Click here to grab your tickets to the shows before seats run out.